Al Pacino last appeared on Broadway in a play called China Doll. Unfortunately he received very negative reviews and the show closed somewhat ahead of its scheduled closing date. I just found out that Al Pacino will make a return to Broadway sometime during the current 2016-2017 Broadway theater season, although official dates for previews and opening night are not announced yet. Stay tuned please. He will play the role of playwright Tennessee Williams. Mr. Pacino will play opposite Broadway regular and 2-time Tony Award winner Judith Light who is well known for her television and stage career. She will play the role of Mr. Pacino's longtime female friend who comes to help him towards the end of his career. The show is called When God Looked Away, a new play written by Dotson Rader. When God Looked Away is an adaptation from Mr. Rader's biography written in 1985. Al Pacino made his Broadway debut in 1969 in Does A Tiger Wear A Necktie?, for which he won his first of two Tony Awards. The second one was for The Basic Training of Pavlo Hummel. Born in New York City, Mr. Pacino enjoys playing on Broadway. He's played in dozens of movies including well known hits like The Godfather, Dog Day Afternoon, Scent of a Woman and so many other incredibly popular films. He's always been one of my favorite actors. Most recently Mr. Pacino won a Kennedy Center honor for his lifetime achievement in the arts in a ceremony held on June 23, 2016. At 76 years old he's had one successful career indeed. We will keep Applause-Tickets News readers aware of updates regarding When God Looked Away tickets in the near future. 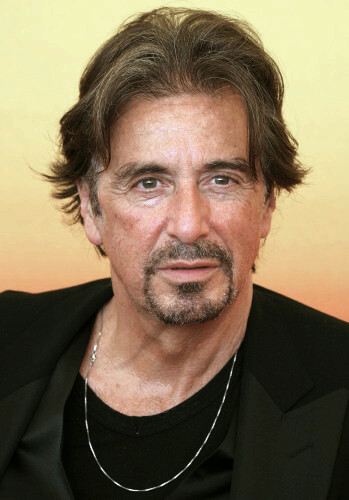 I hope you enjoyed my post on When God Looked Away with Al Pacino, coming to Broadway in the not too distant future.